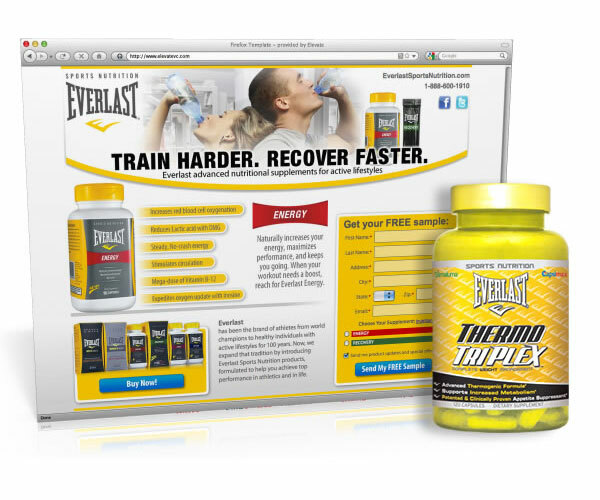 With 100 years of brand heritage, Everlast is synonymous with fitness. Etched targeted athletes and active lifestyle enthusiasts through package design, website development, magazine advertising, brochure design, and online promotion. The response was huge, with 25,000 sample requests in 24 hours! And the database application we built to handle the traffic performed flawlessly. Working in partnership with a manufacturer and Nature’s Bounty, etched created a bright design for a new category of energy drink, creating an entire brand identity in preparation for a sales meeting with Costco. Costco loved the branding and subsequently put the product on shelves nationwide. Updating a classic 131 year old brand means maintaining brand equity while putting on a fresh face to appeal to today’s consumer. Etched accomplished this across a broad range of mediums: packaging, websites, tradeshow displays, POP, brochures, mailings and online and print advertising. Sales are booming as they break into new markets. Don’t get us wrong; we’re all about the “double-take.” But why not shoot higher? Shouldn’t your brand aspire for the triple, or even quadruple take? Or perhaps the less silly-looking “eyes-glued” stare. Your website is not a business card, its a sales force… Chances are you want a site you’d yell about from the mountain tops. As it so happens, we specialize in mountain-scream inducing website development. A picture is woth a thousand words. We specialize in both. Thoughtful storytelling and functional narrative are integral in every shot we take, every article or blog post we write and every recipe we develop.